AIDS groups spell out how the proposed massive budget cuts will harm both local and global funding. President Trump unveiled his proposed budget for fiscal year 2018, which starts October 1, and, as Reuters reports, the plan calls for a $3.6 trillion cut in government spending during the next 10 years, mostly from health care and assistance programs for the poor, including Medicaid. In one of the biggest setbacks, the president has proposed to cut HIV prevention programs at the CDC by $149 million, which translates to a 19 percent cut. The budget proposed to entirely eliminate the AIDS Education and Training Centers (AETCs) ($34 million) and the Special Projects of National Significance (SPNS) ($25 million). In another disappointment, the budget maintains CDC Hepatitis Prevention funding at only $34 million [at a time when new infections have nearly tripled]. Given that racial and ethnic minorities are disproportionately impacted by HIV/AIDS, The AIDS Institute was shocked that the budget eliminates the Secretary of Health and Human Services Minority AIDS Initiative (MAI) Fund ($54 million). The budget also cuts $26 million from the Housing Opportunities for Persons With AIDS (HOPWA) program at HUD. Funding for the National Institutes of Health would be cut by over 20 percent, which will certainly result in a dramatic cut to AIDS research. Eliminating all funding for the International AIDS Vaccine Initiative (IAVI), which will stop 10 current promising candidates from progressing and halt research toward the development of a preventative HIV vaccine. The Treatment Action Group (TAG), an activist-based group fighting for people with HIV, hepatitis C and tuberculosis, condemned the “murderous” proposed budget. TAG’s statement highlighted not only the cuts to HIV-related science and research but also the reduction in funds to fight tuberculosis and hep C globally and at home, including limiting the use of federal funds to purchase syringes. 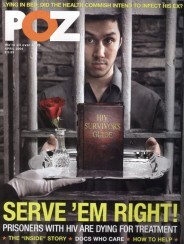 In a separate release, five nonprofit nonpartisan AIDS groups issued a joint statement “to oppose the draconian cuts proposed by the administration including many programs that are essential for the treatment and prevention of HIV/AIDS and STDs.” Those groups include AIDS United, the National Alliance of State & Territorial AIDS Directors (NASTAD), the National Coalition of STD Directors (NCSD), the National Minority AIDS Council (NMAC) and The AIDS Institute. Fenway Health serves the LGBT and HIV/AIDS communities in Boston. Its statement on Trump’s budget not only underlines specific cuts and their detrimental affects, but also puts the budget proposal in a larger U.S. context. 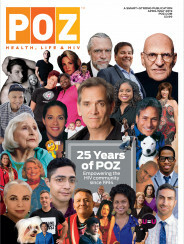 For more POZ articles about how Medicaid affects people living with HIV, click here and on #Medicaid.